Members earn 118 Points on this purchase! The Halcyon H-View Mask offers a superior wide field of view through some of the clearest tempered glass available. The soft, silicone, frameless body provides superior fit and comfort and is less susceptible to damage while packing easily in your luggage or in your dive gear bag. 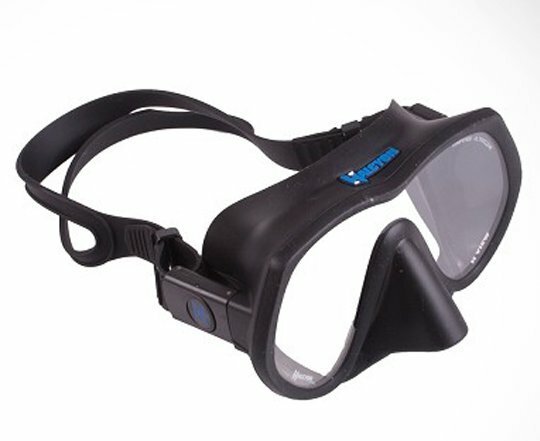 The frameless design also increases your field of view so you can get more of the âbig pictureâ while also keeping a better eye on your dive buddy through increasing your peripheral vision. 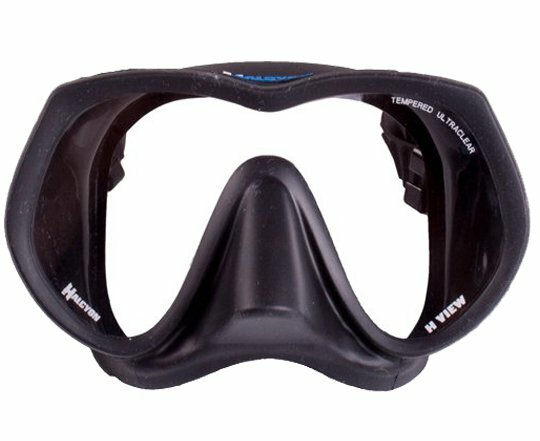 Â This mask will fit most faces and features a double face seal on the mask skirt, which means that it is less likely to cause leaks during your dive. The mask includes a hard plastic protective case and features two mask strap buckles that are compatible with neoprene Mask straps.